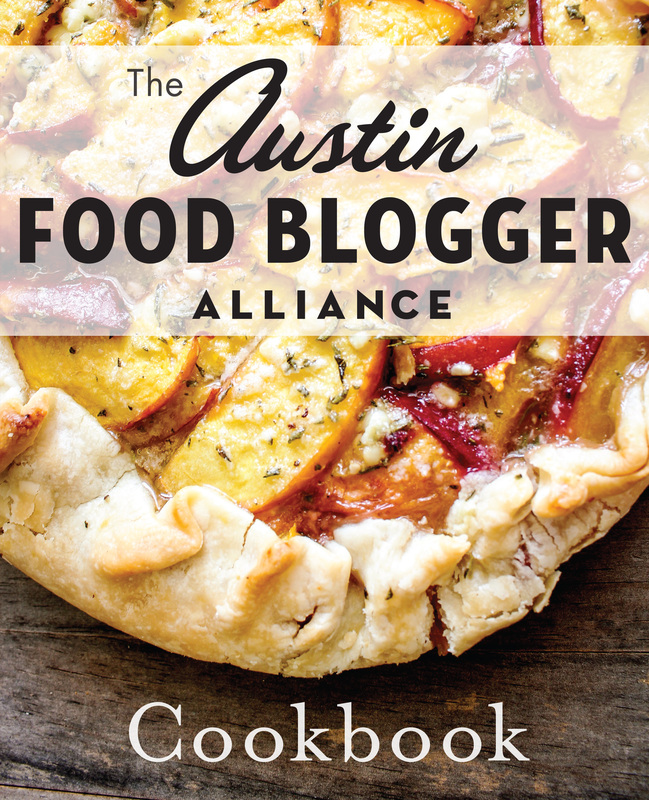 The food blog community is so full of passionate, ambitious women that the BlogHer network, one of the largest blogger networks in the world, has created a separate blogging conference for food. Hundreds of the world’s best food bloggers of both genders have descended on San Francisco this weekend for the second BlogHer Food conference. With the new baby and all, I didn’t get to attend this year’s session, but reading the tweets from my IRL and virtual friends who are there got me thinking about all the feminist themes encompassed in the world of food blogging itself. So, I’m posing an open question to Feminist Kitchen readers who were there and to those on the outskirts like me: What examples come to mind when you think of feminism and the online food community? Entrepreneurship is the first thing I thought of: Many food bloggers have penned cookbooks or otherwise turned their passion for cooking into marketable brands, and some have even gone on to create offline projects like, in the case of Orangette’s Molly Wizenberg, a pizza restaurant. Lots of food bloggers break stereotypes (and plenty of them uphold the tried-and-true image of a 1950s housewife), and just the fact that a good number of attendees and speakers are men says something about the changing demographics in the kitchen. Women, including the anonymous blogger behind Fed Up With School Lunch who somehow attended the conference but is managing to keep her identity secret, are leading the way in food activism. So I would say, our biggest challenge isn’t creating a business, it’s more tearing down the stereotypes we will come in contact with as we grow… convincing that VC that your one woman show isn’t a fluke. Building trust with brands who will help build your reputation. Finding the right team to hire that respects your expereince in the space. This is a very exciting time for the food community – let’s hope we all rise with the tide. Rising with the tide. Well put. Integrity is a huge, if unspoken, value in this community. I hope it stays that way. Integrity and, I would argue, authenticity. There was a lot of talk at BlogHer Food about the authenticity of a blogger’s voice and maintaining it across multiple social media platforms. Because she’s the internet’s current rockstar blogger, Pioneer Woman was a member of both of these “authenticity” panels, which is something I find ironic. I have growing suspicions that Ree Drummond is not solely responsible for the content generated on her site (she does have a few contributors in the Homeschooling and Photography sections, a fact she does not hide). Unless the days are longer than 24 hours in Oklahoma, there is simply no way a homeschooling mother of four on a working ranch can generate as much content as she does. And yet she makes HEAPS (like, $100k/month) from her blog and doesn’t (can’t? won’t?) answer questions about how much time she spends each day working on the site. And I think that’s because she makes all this money from her wildly popular blog. And she’s wildly popular not because the recipes are particularly remarkable (chocolate mousse made from Hershey bars, cornbread, cinnamon rolls, chicken spaghetti — very Midwestern, middle-class fare) or that homeschooling is particularly remarkable, or whatever, but because she’s crafted an online persona that women have responded to almost universally. She’s like a frontier angel in the house, an idealized version of a wife and mother who thinks her husband is hot and can also homeschool her kids, be cooking constantly, and has impeccable taste in jewelry and kitchen supplies, and is a talented photographer (with no small amount of help from Photoshop). She can do it all! And yet … there are gaps in that authenticity. The feminist implications of those gaps are profound indeed. And there you have part of my argument for Chapter 4 of my dissertation. Authenticity is a huge part of this contract we have with each other and with readers. I don’t follow Pioneer Woman too closely, but you bring up some really valid points about how one would create all that content AND have quality time for your family. I strongly resist presenting an idealized version of myself online, and you’re spot on: Presenting something less than your authentic self doesn’t jive with modern feminism. The mess-ups and mishaps are as much a part of me as the successes. Besides, that’s where the true lessons are learned. Octopus, you touch on several wonderful points. I agree with your assessment that Ree Drummond creates a remarkable amount of content on Pioneer Woman, certainly more than I could each day. I also agree that her online persona presents some tricky feminist implications– particularly with respect to the reinforcement of hetero-normative gender roles in the household. However, I think you go too far when you question her authenticity as a blogger. As you mentioned, she regularly features guest writers with credit in all sections of her website. (An aside: one of the only male contributors appears occasionally in the food section.) While the volume of content she produces is remarkable, I don’t think that the volume of the content alone is reason enough to accuse her of being dishonest with her readers. This isn’t an attack on all your comments above; as I mentioned I agree with several of your valuable points. I just think it’s a shame when women attack each other because of perceived differences in success. Addie, you are very much brushing up against Chapter 4 of my dissertation! Curious to see where this goes! Addie, Being new to the food blogging community I tend to have more positive than negative experiences. So I will list those. First off I never felt more welcome with a room full of strangers than I did at my first “food blogger potluck’ (held locally) For some bizaar reason I thought this group would be like a whole bunch of secret recipe pirates, like our great aunts or mother in laws (no offense) that hold all the family secret recipes and are willing to “die” with them. So I guess I too stereotyped at first. Instead I met warm,creative outgoing people that not only shared a love for all things food but rather jumped at the chance to give you their recipe. These same bloggers got excited hearing how you might “tweak” the same recipe they just gave you. I have been embraced, respected and mentored by so many bloggers both locally and in cyberspace that it gives me almost a sense of empowerment in the kitchen and community. Yes I have had my feathers ruffled once or twice, but I choose to look at that as a learning curve. I have no doubt that as food blogging becomes bigger (as with all things) it will become more corporate. However one thing remains true for me. I’m excited to see where it’s all going, I’m excited to see woman of ALL ages and generations and cultures meet in the same forum and work side by side creating,chatting, and getting to know more about each other. One of the things I love most about reading food blogs is how I walk away with my brain stimulated to go get out there and explore more both in my community and in my kitchen. So call it online teaching-online socializing or a modern aged quilting club. It’s been a very positive experience for me. A modern age quilting club! I love it. The activities may change through the generations, but the community behind it doesn’t. Kathryn, I’m not attacking anyone. Just pointing out some ruptures in the “authenticity” ethos of a blog that’s marketed authentic. It has nothing to do with Ree Drummond as a person; rather, the commodified public documentation of her life. Thanks for the clarification! The more I thought about this, the more parallels I drew between PioneerWoman.com and other food/lifestyle superstars such as Martha Stewart, Nigella Lawson, Rachel Ray, etc. I don’t have a lot of meaningful analysis to offer, but it is a thought-provoking topic. I hope that you’ll share your dissertation (or at least chapter 4) with us when it’s finished. I would love to read it!